A mother of eight has been searching desperately for her missing child, who was last seen on Monday last. 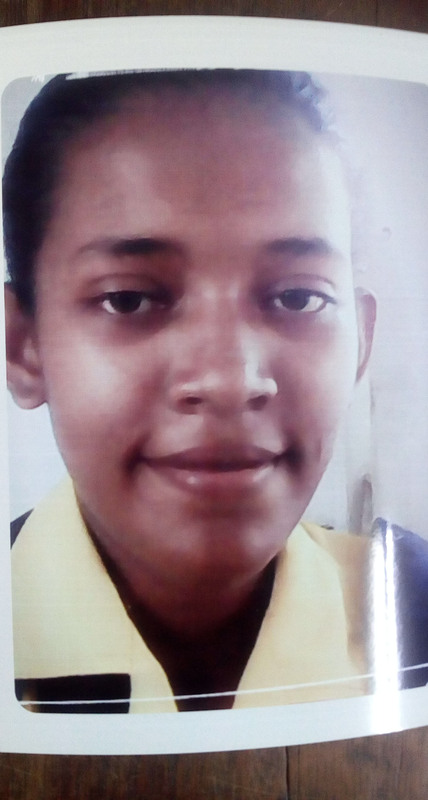 Nanda Alicia Ramsaroop, 15, of the Sophia Special School was last seen last week Monday after she took her younger brother home. According to Nanda’s mother Sharmilla Ramsaroop, the teen thereafter left home in a car that had been waiting outside, reportedly with the intention of tracking down a taxi driver who may have had information on her lost phone. The frantic mother stated that Nanda, the fourth of her eight children, had gone missing before about a month ago, but only for a few days. Nanda was last seen wearing a purple and white skirt, purple halter top, camouflage boots and white socks. Anyone with information related to the teen’s whereabouts can make contact with Sharmilla Ramsaroop on 692-6692 or the nearest police station.